Transfers contacts and other various data between Samsung devices. Supports the data transfer between any two devices (iPhone or Android). Easy operations to complete the transfer within 1 minute. Secure and read-only data processing. How to transfer contacts from Samsung to Samsung? 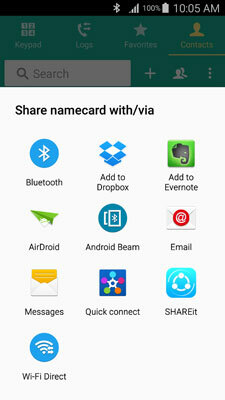 The top 3 easiest and most recommended methods for Samsung transfer contacts are Bluetooth, vCard and dr.fone - Switch. 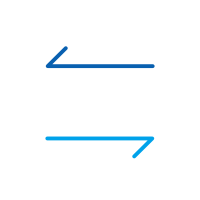 Check out these 3 solutions to transfer contacts from Samsung to Samsung easily. One of the biggest hassles that you may face is how to transfer contacts from Old Samsung to new Samsung device When switching from an old Samsung phone to a new one. Earlier, when no smartphones were yet invented and even Android didn’t exist, people used to manually add each contact one-by-one to their new phone before erasing them from the older one. This entire process used to take several hours and due to the manual intervention, many times the contacts were added incorrectly. 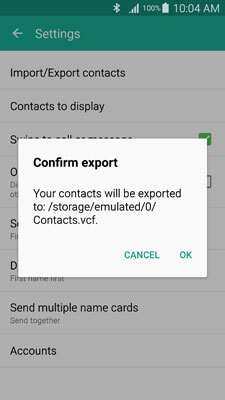 Android overcame this limitation and now you can transfer all your contacts from your one Samsung phone to another within seconds and with complete accuracy. So check the solutions below to know how to transfer contacts on samsung. dr.fone - Switch makes contact transfers pretty easy and straightforward. When using dr.fone - Switch, all you need to do to transfer the contacts from your old Samsung phone to the new one is to connect both the phones to the PC, launch dr.fone and transfer the desired objects to the new phone. dr.fone - Switch also allows you to fully erase the old data from the destination phone before transferring the contacts to it. This can be done by checking a single checkbox. 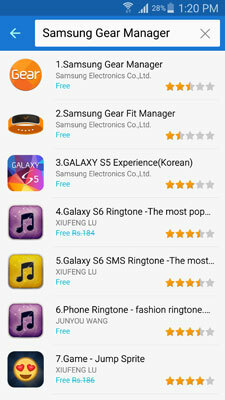 It is also the best Samsung transfer tool to transfer Samsung contacts, music, videos, photos, etc. Transfer Everything from Samsung to Samsung in 1 Click!. 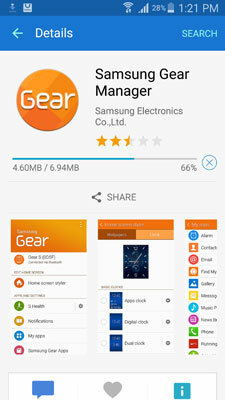 Easily transfer photos, videos, calendar, contacts, messages and music from Samsung to new Samsung. 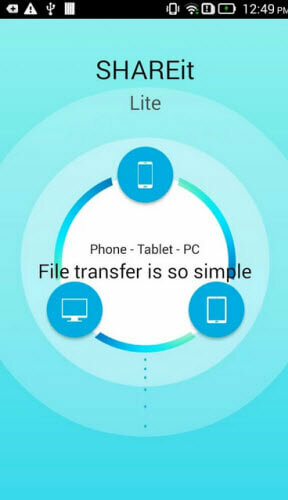 Enable to transfer data between HTC, Samsung, Nokia, Motorola,iPhone X/8/7S/7/6S/6 (Plus)/5s/5c/5/4S/4/3GS and more. How to transfer contacts from samsung to samsung step by step? Download the appropriate edition of dr.fone as per the platform of the current operating system that you are using. After downloading, use the normal procedure to install the program on your computer. Once installed successfully, launch dr.fone by double-clicking its shortcut icon from the desktop. From the first interface, click the "Switch" option from all the functions. Once the next window comes up, connect your both old and new Samsung phones to the PC using their corresponding data cables. Wait till dr.fone detects the connected phones. Check whether your source and target phones are placed under the "Source" and "Destination" categories respectively. If they aren’t, you can click the "Flip" button from the center to place the phones in their correct categories. Once done, from the list of contents present in the middle section of the interface, click to select "Contacts". Finally click the "Start Transfer" button to start the contact transfer process. Note: Optionally, you can click the "Clear data before copy" checkbox from the bottom of the Destination section, and click the "Confirm" button from the "Clear phone data" confirmation box in order to allow dr.fone to erase the data from the target phone before copying the new data to it. 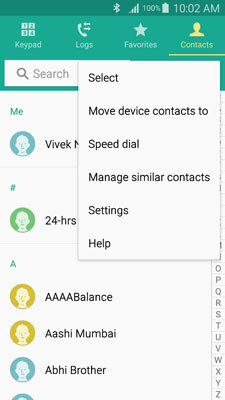 Wait till the contacts get transferred to the new phone and once the process completes, you can disconnect the phones and start using them normally. In this method, you are required to select all the contacts that you want to transfer on your old Samsung phone, and initiate the Bluetooth transfer process. The noticeable point here is, before transferring the contacts via Bluetooth, the Samsung phone exports them to a vCard (.vcf) file. 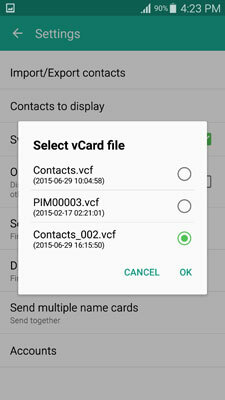 The .vcf file is then sent to the target phone via Bluetooth and the contacts are imported to it. 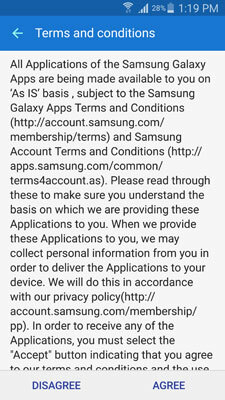 Below are the step-by-step instructions to transfer contacts from Samsung to Samsung with Bluetooth. Follow them. Note: Samsung Galaxy Note 4 is used here for demonstration. dr.fone - Switch support all the Samsung, including the latest Galaxy S8, S8+. 1. Power on both your old and new Samsung smartphones. 2. Make sure you have turned on Bluetooth in both the phones. 3. Wnsure that both that phones are paired with each other for smooth Bluetooth transfer. To confirm the connectivity, you can transfer a small file from one of the phones to another. 4. On the source "Samsung" phone from where you want to transfer the contacts, open the Apps drawer. 5. From the displayed icons, locate and tap "Contacts". 6. 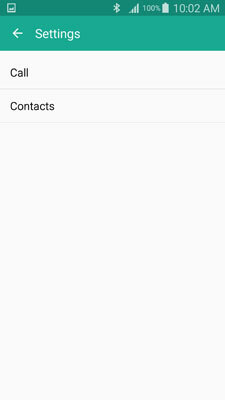 On the Contacts interface, tab and hold any of the contacts from the list. 7. When the tapped contact is selected, tap the checkbox from the top of the window to select all the contacts in the list. Note: Alternatively you can also check the checkboxes individually to transfer the selected contacts. 8. Once the desired contacts are selected, tap the Share icon from the top of the window. 9. From the displayed options, tap the "Bluetooth" icon. 10. 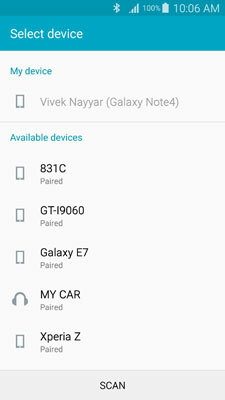 From the list of paired Bluetooth devices, tap the one to which you want to transfer the contacts. 11. On the target Samsung device where you want to transfer the contacts, accept the incoming file and wait till the transfer process completes successfully. Note: Samsung Galaxy Note 4 is used here for demonstration. 1. Power on the source Samsung phone. 2. Open the Apps drawer. 3. From the displayed icons, tap "Contacts". 4. From the Contacts window, tap the More option (option with the three vertical dots) from the top-right corner. 5. From the displayed menu, tap "Settings". 6. Tap the "Contacts" option from the "Settings" window. 7. From the next interface, tap the "Import/Export "contacts option. 8. 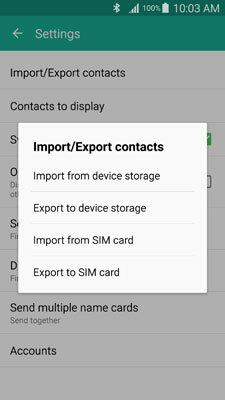 Once the "Import/Export" contacts box pops up, tap the" Export to device storage" option. 9. On the "Confirm export" box, note down or memorize the destination location where the vCard file would be stored after being generated and tap "OK". 11. Once done, go to the file’s save location and transfer the .vcf file to the target Samsung device using any of your preferred transfer methods (e.g. via Bluetooth, NFC (not available in all Samsung phones), or using a PC as a central device). 12. 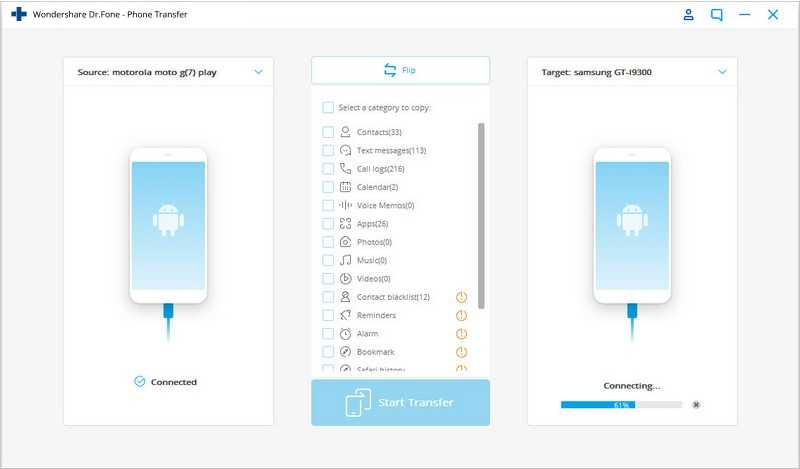 After the .vcf file has been transferred to the target Samsung phone, on the target phone itself, follow the above steps from 1 to 8 while choosing the "Import from device storage" option when on step 8. 13. 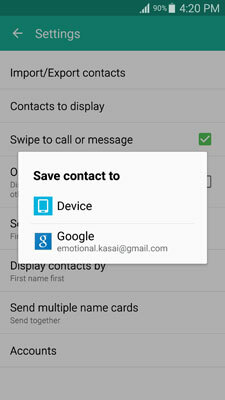 On the "Save contact to" box, tap "Device". 14. 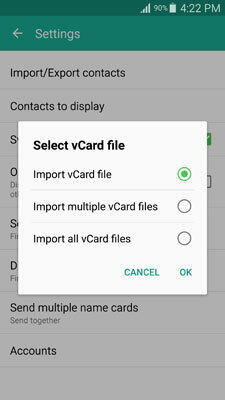 On the displayed "Select vCard file" box, make sure that the "Import vCard file" radio button is selected and tap "OK". 15. From the next box, tap to select the radio button representing the vCard file that you just transferred to this new smartphone. 16. Tap "OK" to start importing the contacts. 17. After the contacts have been imported, you can erase them from your older phone and can start using your new phone normally. Although there are many other ways to transfer your contacts from one Samsung smartphone to another, the 3 methods described above are the simplest ones and are most recommended for the home users and professionals. 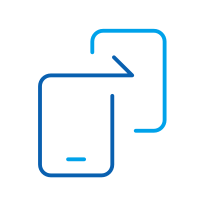 Let's take a look at 4 simple ways that can help you transfer data from Windows phone to Android device for free.